States. From the smallest single boat operator and inland repair yard to the largest merchant fleet owners and major shipbuilders. 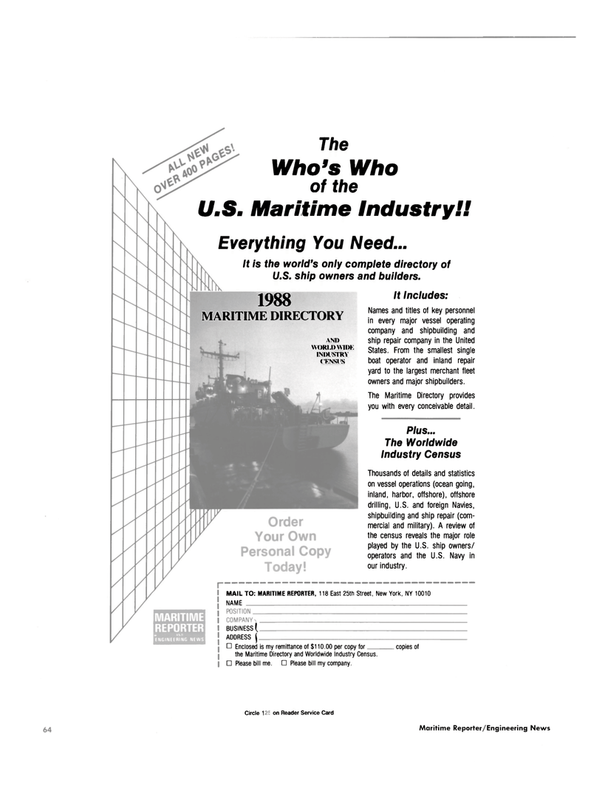 The Maritime Directory provides you with every conceivable detail. Thousands of details and statistics on vessel operations (ocean going, inland, harbor, offshore), offshore drilling, U.S. and foreign Navies, shipbuilding and ship repair (com- mercial and military). A review of the census reveals the major role played by the U.S. ship owners/ operators and the U.S. Navy in our industry.